A commission to decorate one of the V&A's interiors was the start of a long relationship between William Morris and the Museum – one that was perpetuated after his death by his daughter, May. 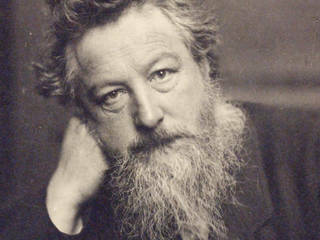 The work of William Morris's company, Morris, Marshall, Faulkner & Co., became fashionable following the 1862 International Exhibition, which had led to a range of decorating jobs for people belonging to its circle of contacts. Within a few years the company had secured two prestigious London commissions: to decorate two rooms at St James's Palace, and the West Dining Room of the South Kensington Museum (renamed the V&A in 1899). 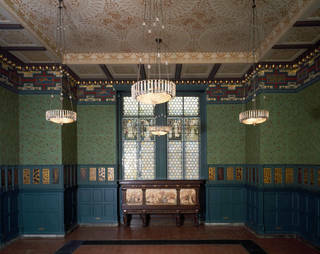 Influenced by the Gothic Revival and medieval style, Morris and his collaborators (chiefly architect Philip Webb and painter Edward Burne-Jones) created a restful, blue-green green scheme for one of three new spaces the Museum had dedicated to refreshments. What became known as the 'Green Dining Room' featured a number of the organic patterns that would eventually make Morris's name as a designer. Over the next decade and beyond, Morris took increasing control of his business (he became sole director of the restructured and renamed Morris & Company in 1875), and established himself as a designer of both innovative and successful patterns for embroidery, wallpaper and textiles. In 1876 his cemented reputation as a nationally known designer led to his becoming an examiner at the South Kensington Museum's art school. Then in 1884 he was invited to join the Museum's Committee of Art Referees, a group of consultants – one that also included painters Sir Lawrence Alma-Tadema, Sir Edward Poynter and Frederic, Lord Leighton – that helped the institution make decisions on the purchase of new holdings. 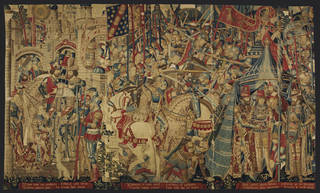 Morris advised on many prospective acquisitions during his time as an Art Referee, including in 1887 a Medieval tapestry from Tournai in Belgium that depicts the Trojan War, and in 1893 the 16th-century 'Ardabil carpet' from Iran, judged to be one of the largest and finest Persian rugs in existence. 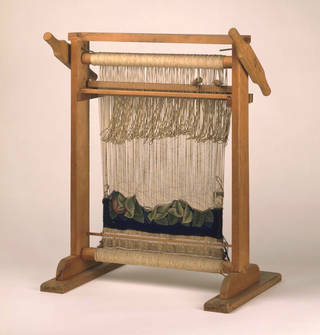 In 1893 Morris also contributed personally to the Museum's collections, donating a miniature tapestry loom that had previously been used to instruct apprentice weavers at Morris & Company's workshop at Merton Abbey. Morris was also loyal to the South Kensington Museum as an interested visitor. 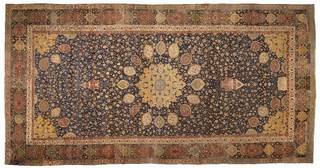 Throughout his career, he regularly visited its collections, borrowing design ideas or making notes on and then attempting to recreate the methods of construction he observed, particularly in historical textiles. 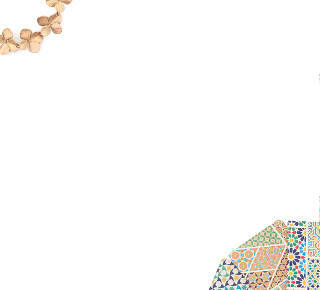 As with the work of any artist, the enduring appeal of Morris's designs was not guaranteed. His lasting significance as a designer is due in part to the careful management of his legacy by his younger daughter, Mary 'May' Morris. Renowned in her own right as a talented designer and embroiderer, May maintained a long relationship with the V&A, lending objects relating to her father's work to various exhibitions. 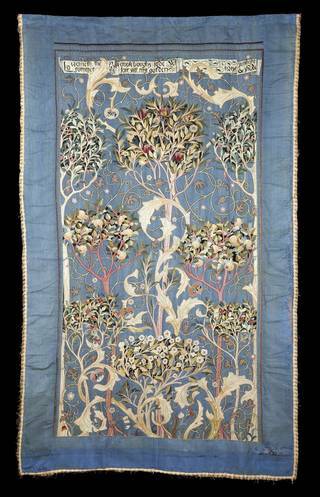 These loans were part of her commitment to spreading the philosophy and design ideals of the Arts and Crafts Movement, with a particular focus on embroidery (she had taken responsibility of this aspect of her father's business in 1885, aged just 23). Instrumental in elevating the status of embroidery as an art form, May lectured widely and published instruction manuals that insisted on the necessity of good design. On her death in 1938 May bequeathed to the V&A a sizeable collection of her father's work, including 30 designs for wallpaper, textiles and embroidery, 'working drawings' that help us understand Morris's design process. 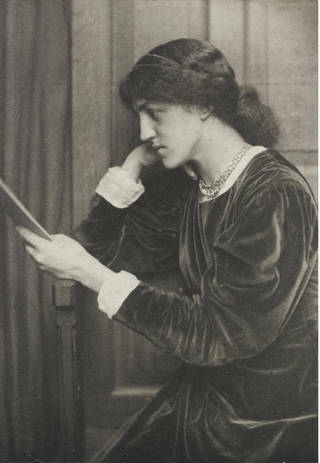 As May herself described, for example: 'If you will look through a number of his designs for chintzes and papers, you will see that he thought in mass, as it were, not in line…' While the Museum has collected individual pieces by Morris since 1938, the majority of our designs come from May Morris's original bequest.